We left Jackson Hole yesterday morning and made a lovely drive towards Salt Lake City. Nothing too exciting on this portion of the drive except that we stopped at the new SLC Cabelas. It was a big store! My friend Michelle who lives here said there are weddings held at this store all of the time. Hmm. Not sure about that. Anyway, we originally were going to stay the night in Park City but decided to go on another hour or so to make the final drive to Vegas today shorter. We wanted to make sure we had time to check in at registration and walk through all 12 stages. longest rifle range shots are to 390 yards. But today I watched as some shot it with the high winds and they were having a tough time. I can do it right? My goal this weekend is no penalties. Which means take my time a bit more instead of spraying like I feel I do. I want decent times but I need to be accurate and then build better time as I progress. I am sure there are many thoughts to this but this is my trial this weekend. We have 5 stages tomorrow, 4 on Saturday and 3 on Sunday with ceremony following. Now to explain my photos of plates. I love license plates. Especially vanity plates. I found it interesting there were a few shooting related ones. 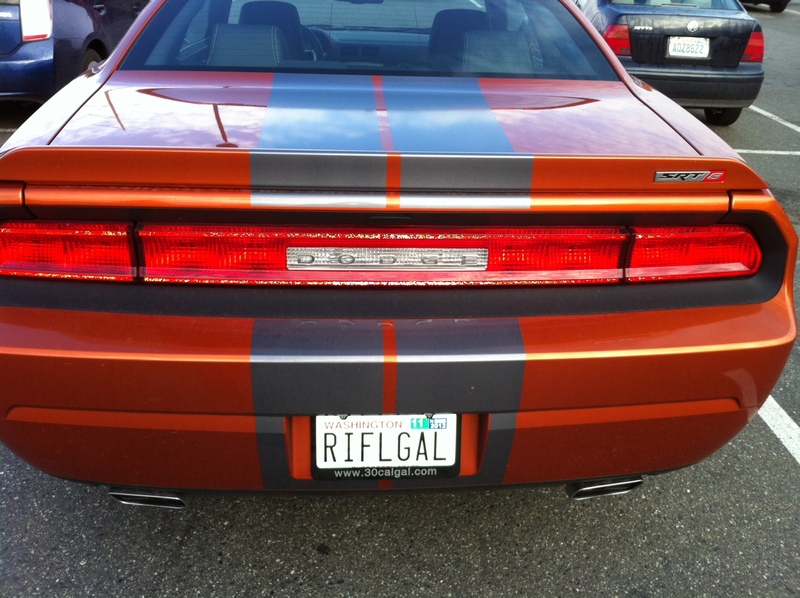 Of course you know my RIFLGAL in last photo. tomorrow. Kind of silly I know but it is entertaining.